We are a church with a more than intriguing past filled with challenges and opportunities to learn and grow. This has led to our present state as a peace and grace filled community, looking forward to a future full of hope. We have congregations around the world, and more particularly, two others in Tasmania; Launceston and the Northwest coast. There are links to both on our front page. Please do not hesitate to contact us if are looking for a place to belong, and be part of a warm, accepting and caring community. We aren’t here to judge or to change you, just to care and support you in what ever way we can as you move along in your spiritual journey. I am writing to you on behalf of Perichoresis Australia. I am on the board and I am also the website manager for You’re Included. (www.included.com.au). When Baxter Kruger came to Adelaide last October, I met up with Mohan from GCI Western Australia. 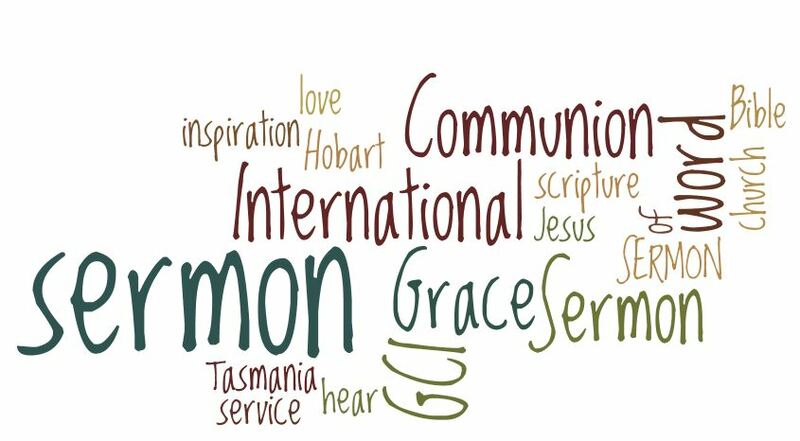 We spoke about including the contact details of GCI congregations from around Australia on our website. We have numerous people contacting us regarding suitable places to fellowship. Until we started to forge a relationship with GCI at an international level, our choices for fellowship were limited. As we both ground our theology on God as Trinity as revealed in the Person and work of Jesus Christ, we would be very happy to provide a link to your website. The Trinitarian movement is growing and more and more people are looking for congregations grounded on the Trinity. Yes, we would be pleased and honoured! In terms of the church not being judgemental, what did Paul tell us about the state of the church at Corinth in chapter 6 ? Did he not rebuke them for their lack of judgement ? Therefore, is not judgement a fundamental function of the church ?